Over the last few years, we have seen several types of Ransomware malware that demand a whopping amount of money from users for the retrieval of their locked, compromised sensitive files. We have also witnessed the birth of decryption solution for some of the Ransomware like Cryptolocker (partial), Coinvault, Rescue Kit. One more solution has recently been released for decryption of newly emerging ransomware, dubbed as Hydracrypt and Umbrecrypt that are propagated through Angler Exploit Kit. Both of the malware belong to CrypBoss ransomware family. The source code of CrypBoss Ransomware was leaked last year on Pastebin, which was later analyzed by Fabian Wosar, a security researcher at Emsisoft. With the help of CrypBoss Source code, Wosar was successfully able to crack the encryption algorithm of the ransomware and quickly made the decryption tool for CrypBoss and its variants (Hydracrypt and Umbrecrypt). It is found that both Hydracrypt and Umbrecrypt share the same genealogy which got traced back to CrypBoss Ransomware with small modifications in the implementation by its authors. "Unfortunately the changes made by the HydraCrypt and UmbreCrypt authors cause up to 15 bytes at the end of the file to be damaged irrecoverably" Wosar stated. The damaged bytes in the encrypted files are trivial (in most of the cases) since it would be used as a buffer data or some trailing bytes, which could easily be re-build by using any file repairing tool (for those 15 bytes). This doesn't affect much of the decryption process as 99 percent of the files are retrieved without any harm using the released decryptor tool that is available Free to download. 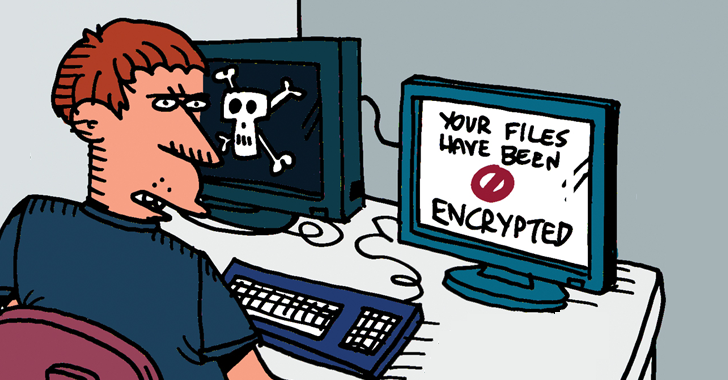 How to Decrypt Ransomware Files? Double clicking the decryptor executable would initialize the decryption process, and you would get the key once the task gets completed. The time taken to crack the encryption would also depend upon your system's Flip-Flop power. Once the decryption key is generated, it is better to save it as a hard copy (by writing down in the paper). Now you can run the decryptor tool and select the intended folders to get unlocked. Enter the key once the decryptor tool prompts for it. Run the decryptor for a small number of files initially to check whether the decryption procedure is being executed properly. This would deliver the file ensurity and saves your time. Make sure whether enough space is present in the hard-drive, so as to take place the decryption. How to Ensure your Decrypted Data is Legit? However, the security team also stated that the result of the Decryption might not be correct as the ransomware, unfortunately, does not leave any information about the original file behind. To ensure the proper file recovery, initially you have to select the encrypted file along with its original version (somewhere in your cloud or anywhere) and pass it to the decryptor executable by a simple drag-and-drop. If the resultant output is legit, then you can carry out the same task with the remaining files. As the same algorithm is being followed in the remaining encrypted files, then you would get your files back as normal.